100 years being leaders in innovation to offer you the widest variety of packaging solutions. Founded in 1918, Embalex is a worldwide reference in the field of industrial packaging. Throughout these years, strategic companies have been added to the Group in order to offer a more complete, more efficient and more quality service. From machinery and supplies for packaging, cargo lashing services or sale and rental of containers to special transports. All perfectly aligned and working at your service. 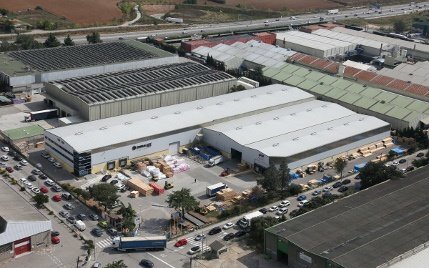 Thanks to the advanced technology that the Group has in its new 26,000 m² facility in Santa Perpetua de Mogoda (Barcelona) and the development of its own know-how that only the long experience brings, we can offer maximum protection in the transport operations and minimization of the logistical costs of products for export, by air, land or sea. Our continuous investment in research and development and the strength of all the companies that make up the group, allows us to carry out any type of project, however big and complex it may be, with total quality.